One of the most frustrating experiences in our digital life is when we turn on the PC, and it runs like a tortoise during the startup while our schedule romps like a hare. Some of the programs installed in the computer, such as anti-malware, productivity and third-party apps and other system services, run automatically during the process, which can bog down our CPU and memory. In my case, for example, Skype, Steam and this annoying third-party JDI MyPC backup software (my seller installed it as part of the package) are active culprits that slow down my startup time, so I had to turn them off manually. 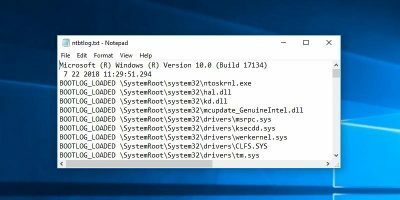 Here are five useful tweaks and hacks to clean up Windows startup programs and speed up startup time without spending a dime. Note: When installing a program or software in the future, you may uncheck the “Start the program during startup” option before you click the Finish button during the installation process. 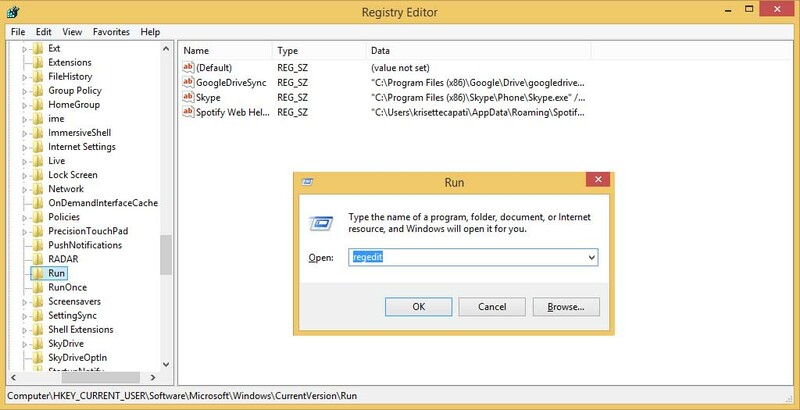 Don’t forget to change the “User Name” to your Windows login name. Delete the shortcuts of the programs you wish to halt on startup. This tweak deletes the shortcut, but not the program itself. Restart the system and see how the PC responds. Cleaning the startup folder does halt the program shortcuts you have deleted. However, it won’t disable all of them, including the hidden programs which are listed in Task Manager’s Startup tab. 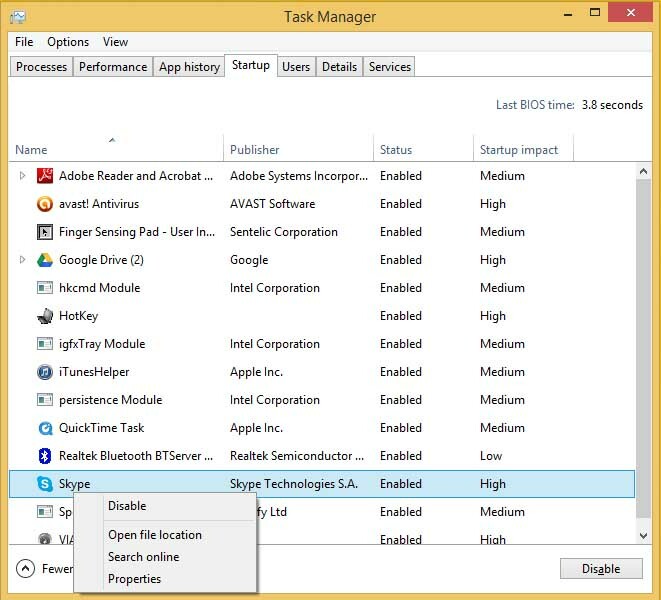 Activating the Task Manager – press “Ctrl + Alt + Del” – then selecting the Startup tab is useful for advanced functions, allowing you to see all the programs and services to help you decide which among them is safe to halt or disable on startup. and apply the same process when deleting the programs. Note: Deleting a registry value may cause system instability; whenever you delete an entry, a dialog box will ask you if you want to delete the value permanently. Do your homework first and find out, which among the services slow down the startup. Another way to halt the programs and services on startup is to run the “Services Computer Management Console” snap-in. It provides all the description of services you wish to disable and allows you to pause or test a particular service to check the computer’s performance when you halt it. To run this tweak, go to the Start screen and type ‘”services.msc“. The Services (Local) shows you the name of the program or service, description (its function), status, startup type and log on as. 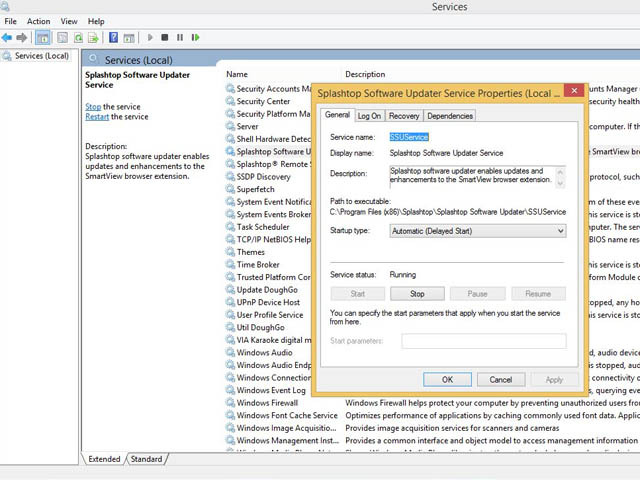 Click the Startup Type to see the services running “Automatic” and “Manual.” If you want to halt the program or service during the startup, right-click, select “Properties,” then change it to “Automatic (Delayed Start).” This will increase the startup time because the service will not launch quickly. Last but not the least, another way to increase the startup time is to activate the Fast Startup mode. This is available in Windows 8 and works whenever you shut down the computer and turn it on. It will not work if you choose “Restart,” so make sure you shut down the entire system. To activate, press “Win + W”, then select the Power Options icon. 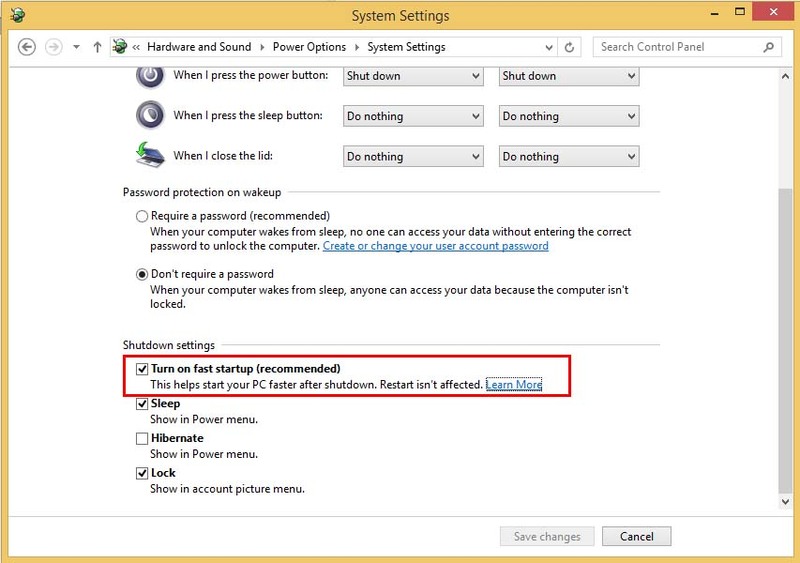 Under the Shutdown settings, check the “Turn on fast startup (recommended)” and save the changes. I recommend that you read the descriptions of programs and services in Services Computer Management Console to know the functions of each service before disabling it. The spring cleaning in startup folder is just a touch base, and although it does have an effect on startup, hacking your way to registry editor and services computer management console snap-in is beneficial for advanced users and halting background services. We’ll discuss more about Services Computer Management Console in a future article. Meanwhile, let me know how it goes with you after applying these in your computer. can’t 1. and 3. be done with “run” –> “msconfig”? Here to say that. It’s the best way, and the used ALWAYS. That was true up through Windows 8, but in Windows 8.1, msconfig no longer has a tab to disable start-up apps. 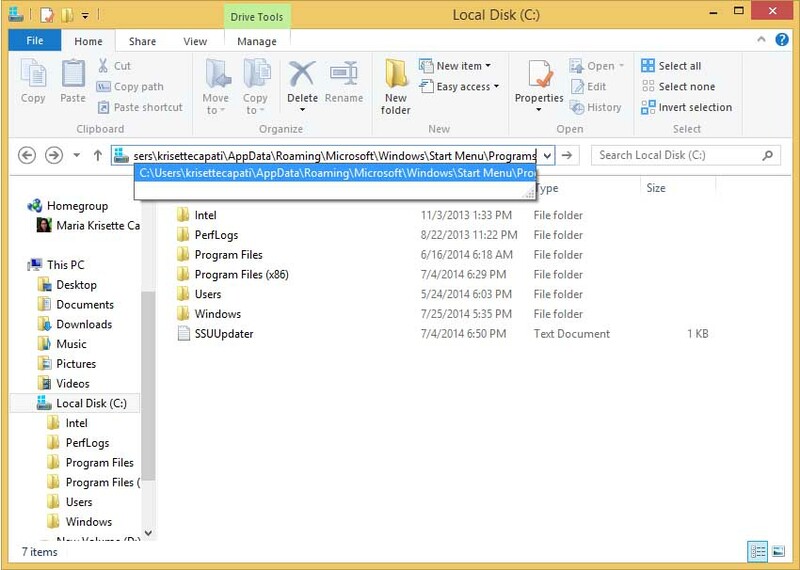 This function is now in Task Manager or through direct editing of the start folder or registry. I use CCleaner to manage startup programs. CCleaner is not reliable. Actually, it’s banned from several companies and their IT departments. does not seem correct and if them companies did that it would be cause they are jealous!!! 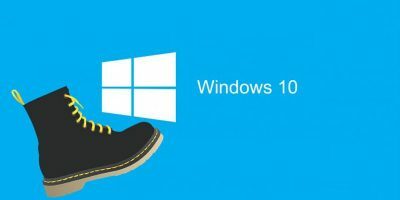 I use Autoruns by SysInternals to disable applications from executing. Simply unchecking the box for the application will stop it from executing after rebooting. This way you can reenable it if you find out that the application is needed. You can also delete the application if you wish by highlighting the application and pressing “CTL-D” or right mouse click and select “delete”. I like having a slow start up. It gives me time to reflect and be thankful I am granted another day and that I am lucky to have the means to even own a computer. U need a fast computer startup to work things fast and get it off, not waste time thinking in-front of it!! My Task Mgr. does not show a “Startup” tab. 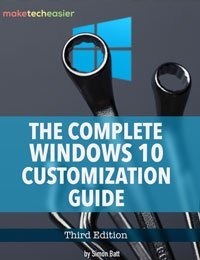 Are we talking about Win7 or 8?